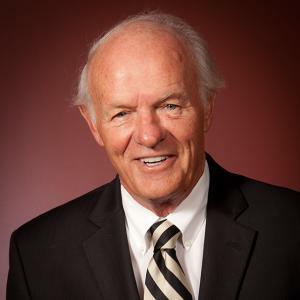 Born Thomas Denny Sanford on the 23rd December 1935 in Saint Paul, Minnesota USA, and is a businessman, best known to the world as the founder of the First Premier Bank and also as chairman and chief executive officer of United National Corporation. Have you ever wondered how rich Thomas Denny Sanford is, as of late 2017? According to authoritative sources, it has been estimated that Sanford’s wealth is as high as $1.3 billion, an amount earned through his successful business ventures, during a career which began in the 1960s. His current salary is listed simply as ‘in excess of $1 million’. Unfortunately, there is no information about Thomas’ early life and growing up. His coming of age remains a mystery, all until he enrolled at the University of Minnesota. He obtained a degree in psychology in 1958, but never practiced. However, back in 1986 he founded the First Premier Bank, and it is particularly known for concentrating on marketing subprime credit cards to individuals with a “less than perfect” credit history. This practice was regarded as a sizeable risk, however, the fees charged were $256 a year, and Sanford made a fortune thanks to the long and successful management of this venture. He started the subsidiary, PREMIER Bankcard, so expanding his kingdom, and further increasing his wealth. The bank now has 12 branches. Furthermore, Thomas is the CEO and Chairman of another business venture, the United National Corporation, which was established in 1990 in Sioux Falls, South Dakota, and through which he oversees the operations of both of his operations, with the help of a staff of almost 3,000. Regarding his personal life, Thomas has two children with his first wife, whose identity has been kept from the media. Then he was married Colleen Anderson from 1995 until 2005. Denny is not only the wealthiest man in South Dakota, but also one of the most generous people; so far he has donated over $550 million, including a $400 million gift to Sioux Valley Hospitals and Health System, which was later renamed to Sanford Health. He has also donated to Children’s Home Society of South Dakota, then Florida Hospital for Children in Orlando, Florida, University of California, San Diego, and also started the breast cancer foundation Edith Sanford to honor his mother, who passed away from breast cancer when Thomas was still a child. The Denny Sanford PREMIER Center in Sioux Falls, South Dakota, bears his name.